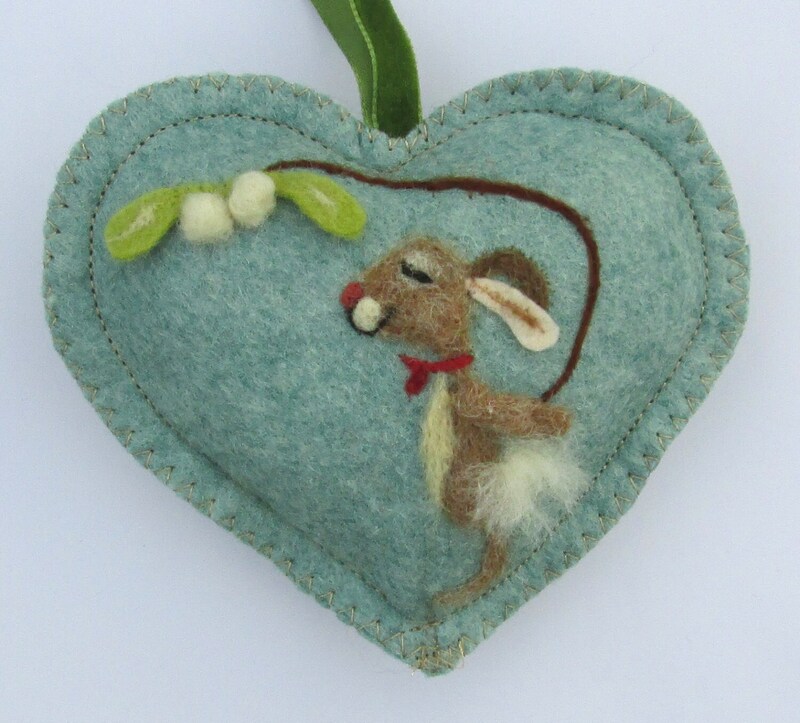 Christmas Heart hanging decoration, needle felted rabbit waiting under the mistletoe. Personalised name embroidered on the back. How long have you been waiting Bunny? 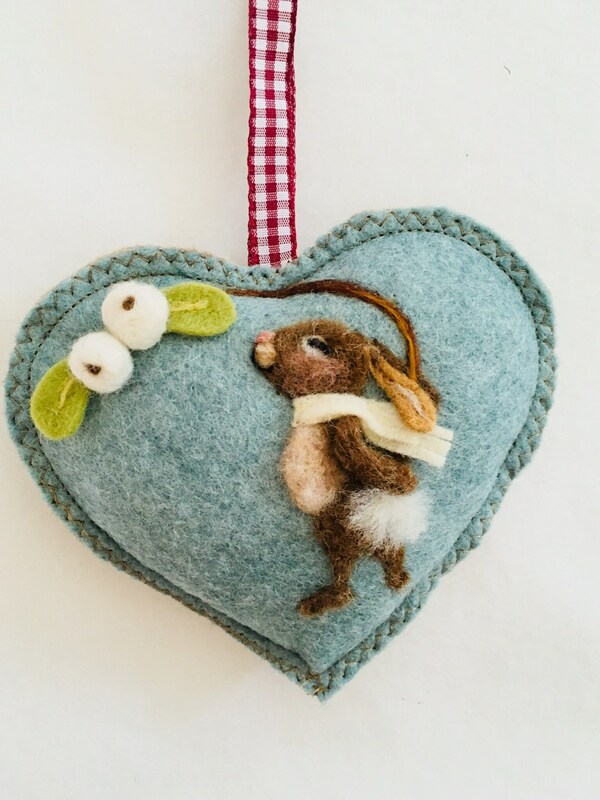 This heart has a needle felted rabbit waiting expectantly under a sprig of mistletoe. Available as a girl or boy. There is also a pocket on the back of the heat with a small notlet for messages and good wishes. Included in the price is the personalized embroidery of a name or short message on the back of the heart. This heart can be scented with either lavender, winter spices or left scentless, just message me with your preference. The design is needle felted with Somerset and Scottish wool and the rabbit is in Full Relief -The ear and arm are 3 dimensional making the heart attractive from many angles.